Whoa! That’s a big cat to have for a writing partner. Maybe maintaining that kind of personal boundary is the best approach in this situation. Who knows what he’d do if given editorial control. The way you know if a manuscript is good is if a cat sits on it. HA! I love your take on this, Jenn. 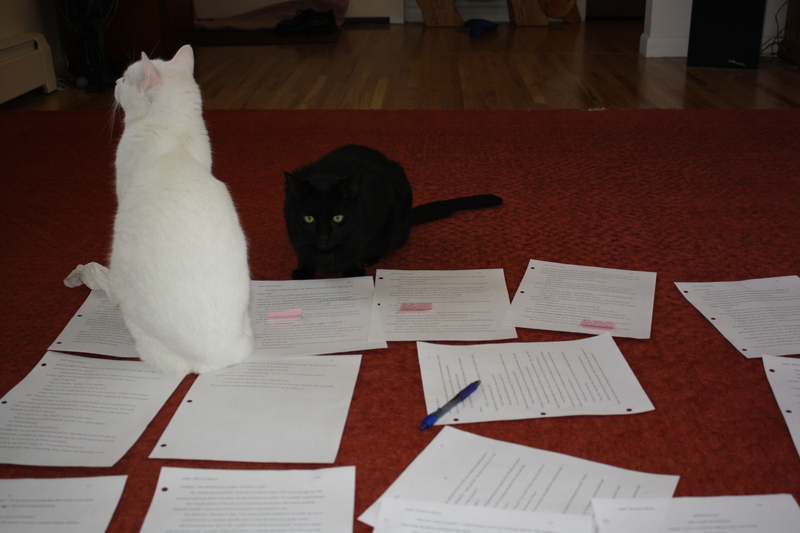 Maybe we should suggest that publishing houses adopt some cats to help editors make final decisions.